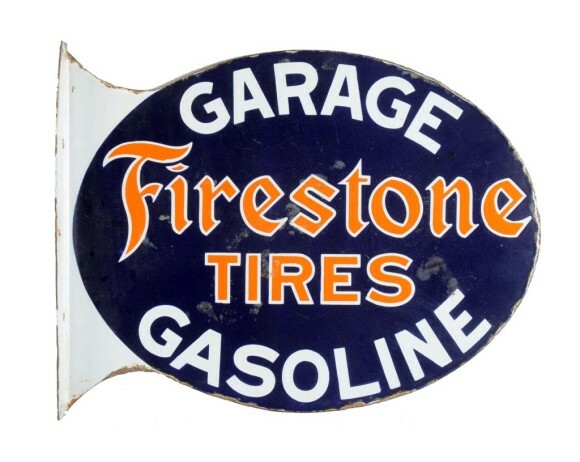 This Firestone Tires Garage Gasoline Flange sign measures 16″ by 21″. The sign is navy blue with the classic orange Firestone logo. The text on the sign reads “Garage Gasoline, Firestone Tires.” The sign is a horizontal oval.